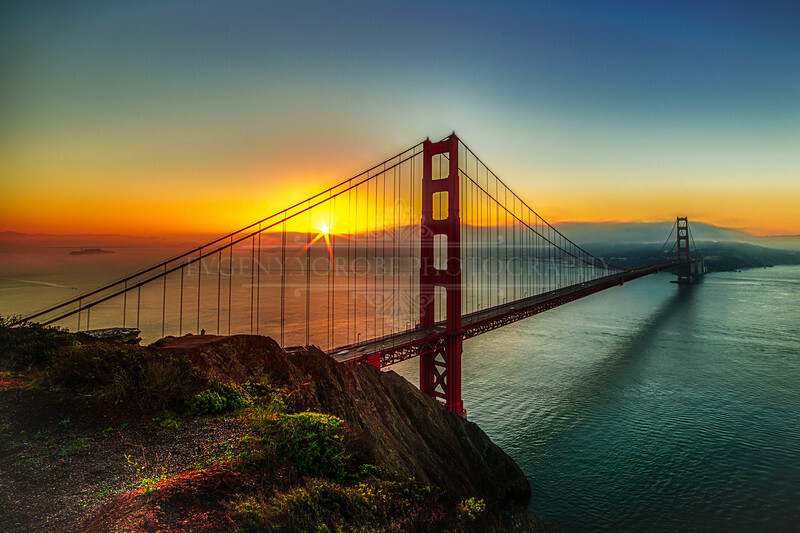 The sun rising through the Golden Gate Bridge and over the fog bank enveloping the city of San Francisco. Shot on 11/24/13. To purchase prints please click "Buy Photos" and your print options will appear. Metallic print type recommended, watermark will not appear on purchased prints.